A worksheet related to numbers from 1 to 20; an easy one to practise them. 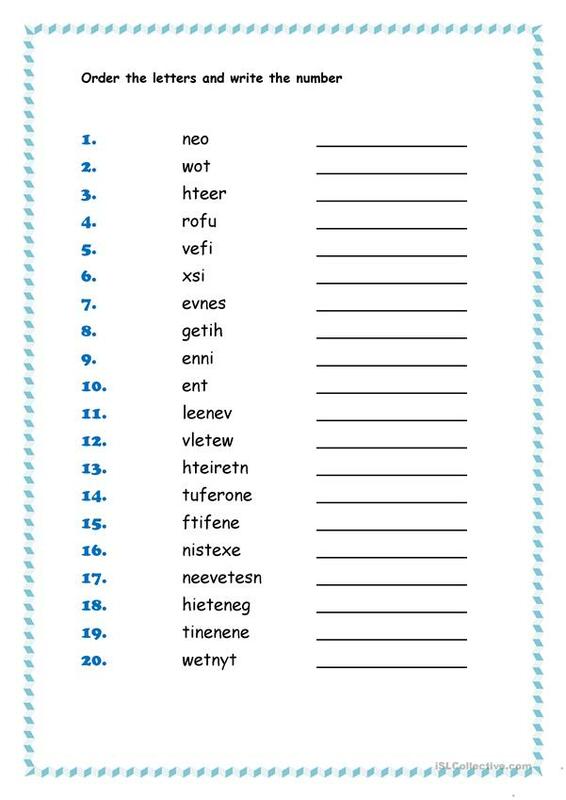 Students should order the letters and write the numbers on the right way. This downloadable teaching material is best suited for elementary school students and kindergartners and nursery school students at Beginner (pre-A1) and Elementary (A1) level. It is aimed at teaching Numbers: Ordinal numbers in English, and is useful for honing your students' Reading and Writing skills. It features the vocabulary topic of Numbers.